Aloha Pontoons & Waco Manufacturing is a manufacturer of luxury pontoon boats. Based out of North Little Rock, Arkansas, they are the oldest boat manufacturers in southern United States and are known for their Paradise and Tropical series of pontoon boats. Crest Marine is a manufacturer of specialized pontoon boats that are known for their high-level of structural superiority. It is headquartered in Owosso, Minnesota. Founded in 1957, Crest Marine is an independent and privately-held company. Lowe Boats, Inc. is a manufacturer of high-value aluminum canoes and boats that aims to fulfill the boating requirements of families. Headquartered in Lebanon, Missouri, Lowe Boats makes and offers a wide variety of riveted and welded jon, deck, deep-V, bass and pontoon boats. It also offers boat tools and maintenance services. Manitou Pontoon Boats is a manufacturer of high-quality pontoon boats for family use. Headquartered in Lansing, Michigan, Manitou Pontoon Boats makes and offers a wide range of luxury, performance and leisure pontoon boats. An independent company, Manitou Pontoon Boats was founded in 1985, and till date remains a family-owned and operated business. The company does not sell directly to retail customers and sells its products exclusively through its dedicated network of authorized dealers. Premium Marine, Inc. is a manufacturer of fishing, cruise, luxury and touring pontoon boats to be used by recreational boaters and families. Headquartered in Wyoming, Minnesota, the company distributes its products via dealers throughout the United States. An independent business, Premier Marine was founded by Robert Menne in 1992, and has since been owned and operated by the Menne family, making it Americas only family-owned, premium pontoon brand. 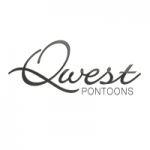 Qwest Pontoons is a leading manufacturer of multi-functional and affordable pontoon boats. Based out of St. Louis, Missouri, the company has made a name for itself in building boats that match industry standards, look trendy and stylish, and yet are easily able to suit the needs of those who have budgets to meet. Ranger Boats is United States lead manufacturer of fiberglass and aluminum pontoon boats. Headquartered in Flippin, Arkansas, Ranger Boats specialize in making one and two-person fishing boats, and are known for their exclusive, high-quality and strong-performing pontoon boat models. SUN TRACKER is the worlds #1 manufacturer of high-quality pontoon boats meant for family and recreational use. Headquartered in Springfield, Missouri, SUN TRACKER Pontoons sells a wide range of pontoon boats through over 80 Bass Pro Shops® TRACKER BOAT CENTER® locations, in addition to a dedicated network of quality independent dealers distributed throughout the nation. Tahoe Pontoon Boats is a manufacturer of high-end pontoon boats meant for family and recreational use. A leader in the pontoon boating industry and the creators of some of the finest boats in the US, Tahoe Pontoon Boats was founded in 1972 and is headquartered in Alma, Michigan. The company sells its products via authorized dealers. Veranda Marine is a company that manufactures and sells luxury pontoons meant for family and recreational use. It is headquartered in Hot Springs, Arkansas.